I’m an amateur traveler. I can figure my way from point A to be B better than most, walk through several airport concourses with the familiarity and comfort of a second home, and know what brand of champagne is cheapest in several different countries. On the other hand, my sense of direction is sometimes seriously lacking, my complete lack of coordination results in many accidents, and I have seen maybe 1% of this Earth. I am an amateur because I still have an infinite number of things to learn. I am an amateur because traveling is my passion. The hardest part of being an amateur traveler is not traveling. Sometimes it feels physically painful to be stuck in place for however long. On the flip side of being a travel writer, especially a stationary travel writer, is being a travel reader. I stay sane by seeking out anything I can find to somewhat satisfy my craving: from National Geographic’s tumblr, natgeofound, to one of my favorite travel websites, Seattle’s Travels, to Paul Theroux and Jack Kerouac novels to Anthony Bourdain’s shows. Not only do these things keep me sane, they keep me learning. Of course they aren’t adequate substitutes for the knowledge that comes from first-hand experience, but they’re still valuable nonetheless. 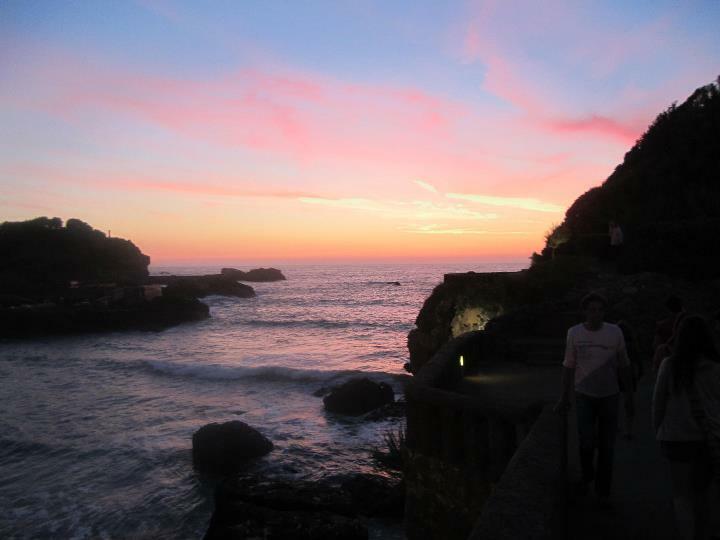 Anyways, here are a couple pictures of my favorite place that I’ve found on Earth (so far): Biarritz, France. I really loved your post, especially the part where you defined amateur as having "an infinite number of things to learn". I feel like it's not possible to perfect something you are passionate about because there will always be more to learn or to accomplish, or places to see and experiences to have, as with traveling. I think that is what makes being an amateur so rewarding, you will never be bored! Also, your pictures are beautiful - I would absolutely love to visit France someday!